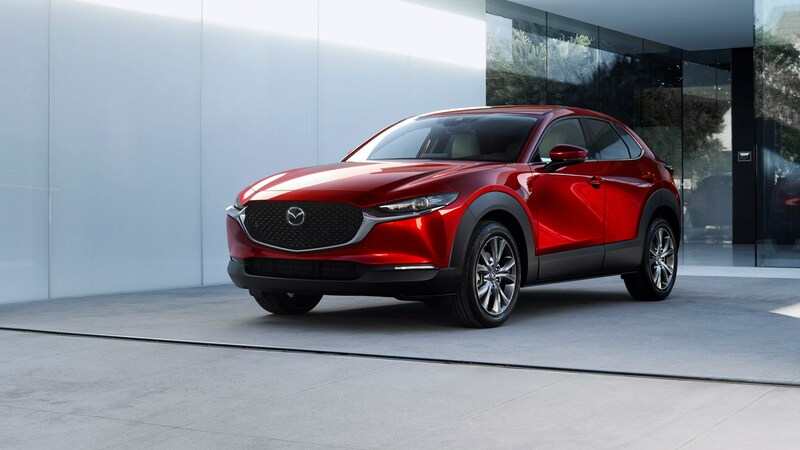 The Mazda 3 hatch has been to the gym and put on some wellies – this is the CX-30 SUV, revealed first at the 2019 Geneva motor show. Nope, not called the CX-4 in original predictions. That’s a model already in China, but Maza wanted to differentiate between that and this slightly different modelfor the European market. Now, when we say it’s a taller Mazda 3 hatch, we really mean it. It’s the second new model in Mazda’s master plan to revitalise its entire product portfolio. The brand says it’ll use a range of Skyactiv engines including the new compression ignition Skyactiv-X engine. That and the fact it has a slightly taller ride height and a little extra body cladding over the likes of the wheelarches. That’s kind of it. At least we know it will handle well, as it’s the case of the regular hatchback version. The new CX-30 will go on sale in the UK and the rest of Europe ‘later in the year’, so expect an actual on sale date of September 2019 onwards.